After listening and reading to non stop comments on the cancellation of the Kotel Agreement, and the impact it may have on the unity of the Jewish people, I thought that I should add my own 10 Agurot to the discussion. The Reform Leadership was insulted by the Israeli Government. This was a deliberate and calculated insult from the Charedi parties that have been politically fighting the Reform movement since it was created in Germany over a hundred years ago. However the insult was only aimed at the Reform Leadership. 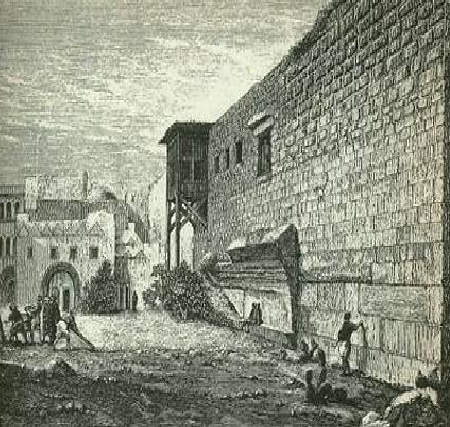 It does not impact Egalitarian prayer at the Kotel which as been happening since 2000 (actually much earlier) at the southern part of the Kotel, the area near Robinson's Arch in the foreground in the picture above (picture from 1865). Over the past 15 years, the prayer area by Robinson's Arch has been expanded considerably, and there are plans to further increase the size and accessibility of this area. The Masorati (Conservative) movement provides prayer books and Torah Scrolls in the area, and it is available for Bar or bat Mitzva ceremonies (http://masorti.org/the-western-wall/). This has not changed with the cancellation of the Kotel Agreement. What has changed is that the Reform leadership will not get government recognized rights over this area in the same way that the Orthodox Rabbinate are recognized as the administrators of the large Kotel Plaza immediately to the north or Robinson's Arch (the area beyond the wooden supports in the picture above) . Quite rightly, the Reform leadership feel insulted, however I think that their response could be very damaging to their own membership. There have been reports that the Reform leadership are threatening to decrease political and financial support to Israel. This is very hurtful to Israel; although thank G-d Israel is less reliant on the political and financial support from the American Jewish Community (which is tiny compared to the Support Israel receives from non-Jewish groups like Christian Zionists), however the Reform Jews are our family, and is never nice when members of a family cut ties with one another. However, this cutting of ties could do serious damage to the Reform movement itself. One of the biggest challenges of Jewish communities abroad is how to keep their membership active and involved. 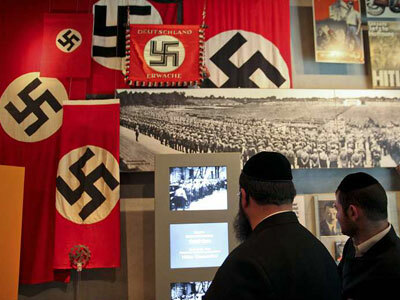 Unfortunately many Reform Jews do not have a daily connection to Judaism, they do not keep kosher or Shabbat, many do not attend regular services, and many are not familiar with Jewish history, literature, and customs. One of the areas where many Reform Jews are still connected to the Jewish people is their support for Israel. The Reform leadership should be looking at ways to increase this connection, not because Israel needs it, or the Charedi parties love them, but for the sake of their own constituents. Instead of threatening to reduce ties with Israel, the response of the Reform leadership should be to show the world how important their connection to Israel and the Kotel is. They should encourage all their members to visit Israel regularly, they should try and get all families to consider the Kotel a far better location to celebrate a Bar Mitzva than an expensive events hall. If the Reform movement manged to bring thousands or tens of thousands of Bnei Mitzva and other groups to the Egalitarian Prayer area at the kotel every year, that would not only strengthen the connection of their own members to Israel and to the Jewish people, but would force the government to further increase the size and accessibility of this area, and give them a much stronger negotiating position next time the Kotel issue comes up before the government or court system. 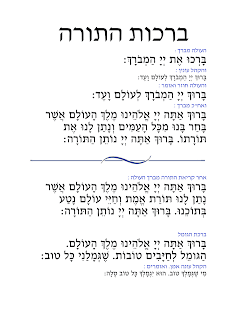 I was trying to find a copy of the brachot to the Torah and Haftara (ברכות התורה והפטרה) in a format that could be printed out and laminated for the Bima in Shul. Had trouble finding something suitable, so I put one together myself which I am sharing for anyone else that would find it useful. If anyone spots an error or has suggestions how I could improve the formatting, please leave a comment. There were a variety of speakers from very different backgrounds, both Israeli and Palestinian, trying to think out of the box to try to find solutions to the Arab-Israeli situation. The "2 state solution" as it is currently being discussed is part of the problem, not part of the solution. It is used by the Israeli government as an excuse not to invest in the Palestinian territories (why would you invest in territory that will not be under your control in the future), and is used as an excuse by the Palestinian Authority to restrict development as all problems can be blamed on "The Occupation" which absolves the PA of taking responsibility. Any solution must guarantee full and equal rights for Palestinians, especially the right to travel and unrestricted access to work, schools, and medical facilities. Any solution must guarantee security for both Israelis and Palestinians, so that Israelis and Palestinians can visit each other, work together, as well as ride buses or go to sleep at night without fear of terrorism or unnecessarily violent military action. The refugee camps must be replaced with respectable housing for all descendants of the Palestinian refugees. 2 generations after what Palestinians refer to as "the Nakba", all people are entitled to a proper home with proper infrastructure. People should be free to live and travel wherever they want. That means that Jews should have rights to live in Chevron, Beit Lechem, or Ramalla, and Palestinians should have rights to live in Jaffa, Tel Aviv, Jerusalem, or Modi'in. Jews and Palestinians need to learn to listen to each other's narrative, and respect the fact that we may not perceive history or the current reality in the same light. I'm sure that not everyone will agree with all the points above, and some of them seem to be contradictory (can we have unrestricted freedom of movement yet maintain complete security?) And I'm sure that there are other non-negotiable points that would be acceptable to both Israelis and Palestinians that could be added to this list. Feel free to leave a comment. As some people may have noticed, the United States is holding some type of reality show where the winner gets to be the leader of the free world. Unfortunately, due to a glitch in the democratic process, one of the candidates may turn out to be a Flesh Eating Lizard. This would leave rational voters with only 2 choices, stay home on election day or vote for former First Lady Hilary Clinton. Anyone who knows me knows that I am no big fan of Mrs Clinton (or the Democratic Party in general) and I can't comment on her (lack of) honesty or political scandals. As I am not American, my opinion on the US economy or health care or gun rights are not relevant, however as an Israeli who will be directly effected by the foreign policy of the US Government, I think I have the right to share my 2 cents on Mrs Clinton's attitude to the conflict in our little corner of the world. Firstly, let me say that I don't really trust any politicians, especially not Hillary, so whatever she says may have little bearing on her policies. That said, I was surprisingly impressed with her policy outline described by Arutz 7 (Arutz 7 was highly critical of her plans). According to Arutz 7, in leaked emails Hillary has an outline of a plan which includes concrete steps for Israel and the PA. This is a massive departure from other world leaders who repeat slogans like "Israel must stop construction in the West Bank and work towards a 2 state solution"
Almost everyone knows that in the current climate the chance of a peaceful 2 state solution is below zero. More chance of the Chinese accepting the Pope as their next leader than a peaceful Palestinian State alongside Israel. The PA and Israel [are] to organize classroom forums bringing together Israeli and PA students to help nurture mutual understanding. The PA would be required to put Israel on government-issued maps, and the historical Jewish connection with Jerusalem “acknowledged”. Anti-corruption efforts in the PA legal justice system. These are all excellent suggestions, although they could all be expanded on. 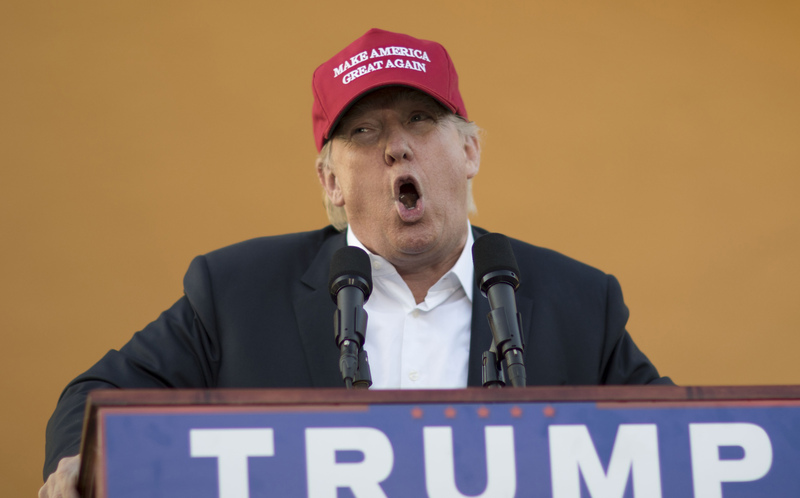 Incitement must be stopped at all levels including schools, mosques and the media. Classroom forums would help to bring Israelis and PA students together, but in addition there could be many other forums including sports, music, science, where Israelis and Palestinians work together on a common goal which is not related to the conflict. The PA recognizing Israel as a Jewish country is essential for negotiations, just as Israel has (and needs to continue to) recognize the rights of the Palestinian People to self determination. Permanent housing for refugees and anti-corruption measures are also essential steps needed by the PA.
Israel, on the other hand, would, in the framework of some larger agreement, be expected to make a number of serious concessions, including the creation of a voluntary compensation fund to encourage Jews to leave Judea and Samaria. The plan notes does note that housing construction would be tolerated within the major settlement blocs, but not beyond. Israel would also be pressured to open up Area C, which is under full Israeli control, to Arab economic interests, in particular giving them greater access to rock quarries. The outlined plan also included transferring greater security control of Judea and Samaria to the Palestinian Authority police, giving them full control of Area B and working to minimize IDF operations in Area A. None of these seem like unreasonable concessions for Israel to make. If the US administration would "tolerate" construction within settlement blocks, it would indicate that they are more realistic about the situation here. Offering economic opportunities to Palestinians is also a positive step that is in line with Bibi's "Economic Peace"
So the bottom line is that I really hope that America wakes up and elects Rubio or even Cruz this November, but if we end up with Mrs Clinton back in the White House, it may not be as bad for Israel as some people may think. Lately a lot of opinion writers have asked why be need a chief Rabbi or government recognized Rabbanut in Israel. For example, earlier this week, Isi Leibler wrote in the Jerusalem Post that the State Endorsed Rabbinical Leadership should be disbanded. One of the common misnomers is that the Rabbanut doesn't represent anybody, not the Charedim, not the secular, and not even the National Religious community. This is simply not true. It is true that most Charedim do not respect the institution of the Chief Rabbanut, in much the same way they don't respect many Zionist institutions, however in the Religious Zionist world, there is a strong segment which not only respects the institution of the Chief Rabbanut, but regards it as a critical corner stone of Zionism and the redemptive process. Religious Zionists, particularly among the Chardal, see the Chief Rabbinate in messianic terms. 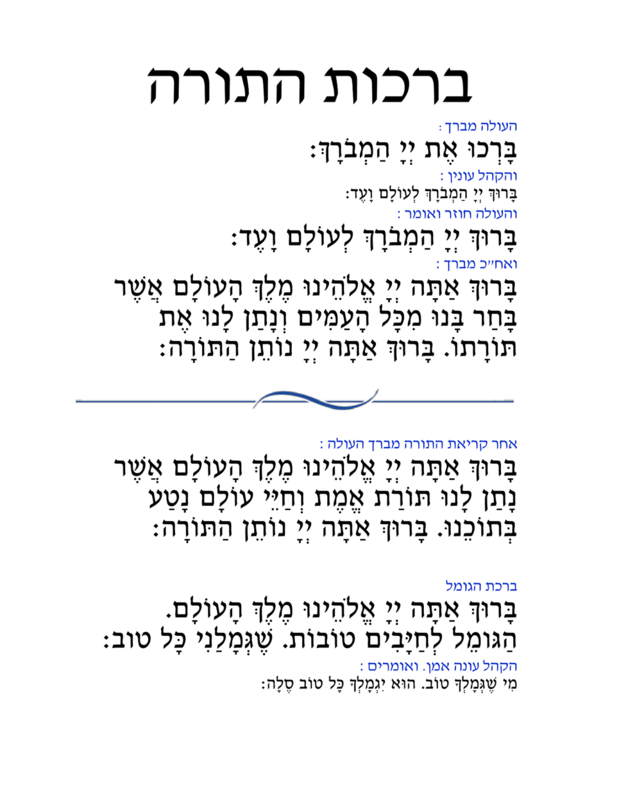 We pray three times a day in the Amidah for the return of the centralized religious judicial system. The Chief Rabbinate is not the fulfillment of that prayer but its precursor. It represents a step in the flowering of the Redemption. Seen in those terms, undermining the Chief Rabbinate is forestalling Mashiach. In other words, while it is true that in Galut, each shtetle, community, or congregation appointed its own rabbi (although many cities and countries also had a Government-recognized Chief Rabbi), now that we are building a Jewish nation, just like we have a centralized, government-recognized Jewish army, police force, court system, education system, medical system, postal system etc, we should have a recognized Rabbanut. This was the vision of Rav Kook when he established the Rabbanut before the state. None of these government institutions are perfect, many need restructuring or fixing, however there is a difference between fixing a poorly run government institution, and calling for it to be disbanded. In addition to the ideological principle of having a single uniting rabbanut, there are practical advantages. Having a centralized record of marriage and divorce is of enormous benefit. If you have ever met a Ba'al Tshuva from Chutz L'Aretz trying to determine whether he is Jewish according to Halacha you would understand why. If the person comes from England, or any other country with a centralized Rabbanut, provided that their parents or grandparents had a Jewish wedding registered through the Rabbanut (and the vast majority of UK Jews do, even today), it is very easy to get a copy of the Ketuba and details of the Rabbi who conducted the wedding and verify their halachic status. In contrast, with a Jews from the US, unless they know exactly where and when their grandparents got married, and the Rabbi or community where the grandparents got married is still around and maintains accurate records, it is extremely difficult, and some times even impossible to confirm their halachic status 2 generations later. There are many other areas where we benefit from a government recognized and funded rabbanut. 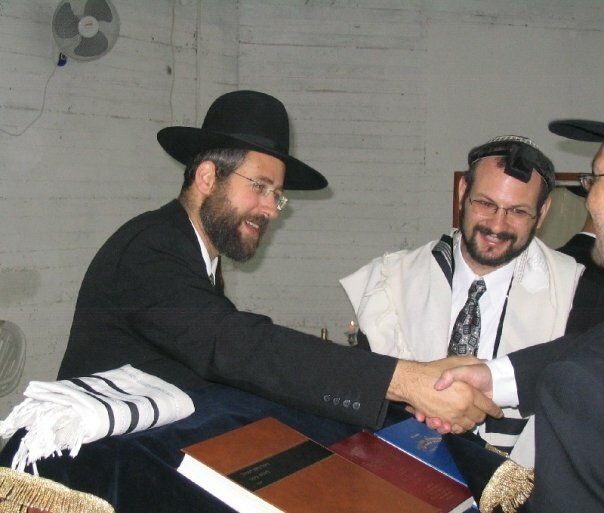 In Chutz La'retz Jewish services such as burial, eruv, mikva, marriage registration, and beit din, if they exist at all are privately funded by a congregation, and often individuals who are not members of a congregation are denied these services; many Jews belong to a congregation just so they are entitled to a Jewsih Burial. Here in the Jewish State almost every city has an eruv, every Jew is entitled to be buried according to Halacha, and there is a Beit Din or Possek available to everyone. Who would be responsible for maintaining these services if we did not have a recognized Beit Din. With regard to marriage. Personally I am in favour of recognizing civil marriage, in the same way that the government recognizes civil marriage performed abroad. However if individuals want a Jewish wedding, not a civil wedding, weddings should be under the auspices of the Rabbanut and the Rabbanbut should maintain records. I believe that like in England, the vast majority of Israelis would prefer a Halachic wedding, and would want to be able to prove that their future children and grandchildren a Jewish without any question. With regard to kashrut, there is also a benefit to the kosher consumer knowing that legally an institution can only call itself kosher if it meets a minimum recognized standard of kashrut. There are big problems in the kashrut industry now, and different Rabbanuts do have different policies or levels of efficiency, and this should be standardized - but removing any level of control and letting anyone advertise themselves as kosher without any supervision at all, is a step in the wrong direction. 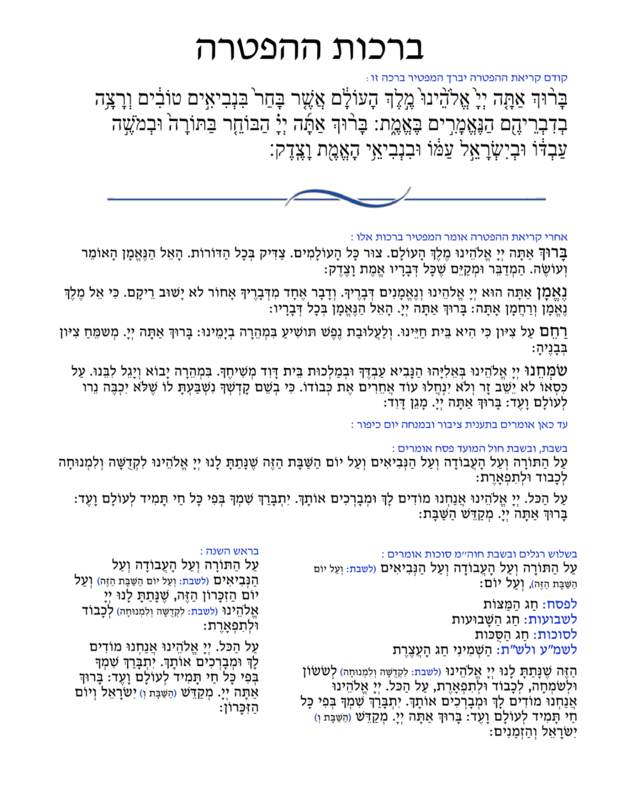 In recent years there were real problems with Charedim who did not recognize the Rabbanut taking over key positions, and that was to the detriment of the entire institution, however since Rabbi Lau took over, there has been a definite move to reform the Batei Din, Kashrut supervsion, city eruvin, and other institutions under the umbrella of the Rabbanut. 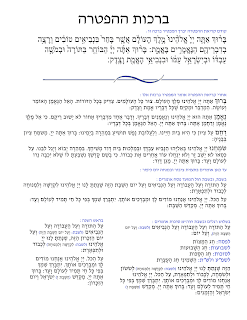 May these changes continue, and may the office of the chief rabbanut return to the respected position that it deserves, and may the individuals involved be worthy of their office and turn the institution into a Kiddush Hashem. Yesterday I received a response from the Right Honourable Mr McCully. Nothing new or surprising in his response, he just repeats that instead of looking for new or creative approaches to the Israeli-Palestinian conflict (such as promoting peaceful interaction between Israelis and Palestinians), he will repeat the tried and failed method of meaningless gestures in the UN Security Council. Given that there was zero chance that New Zealand would have advanced the cause of peace, the fact that he is only going through the motions and not attempting to come up with new or creative solutions to the issue can't further increase New Zealand's irrelevancy to the situation. Thank you for your email of 3 June 2015 regarding the current position of the New Zealand government in relation to the Israeli-Palestine conflict. New Zealand pursues a balanced and constructive approach to the Israeli-Palestine conflict. New Zealand supports a negotiated two-state solution, with Israel and a Palestinian state existing side by side, in peace and security. Given the threat the conflict poses to international peace and security, we believe the Security Council has a role to play in the Middle East Peace Process. We are assessing the best approach for its next steps, including the possibility of working on a United Nations Security Council resolution.